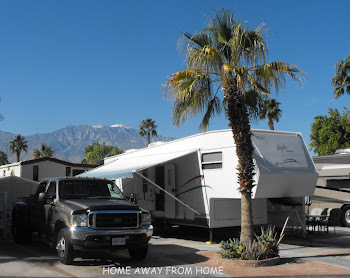 If you’re RV'ing in the Kamloops, B.C. 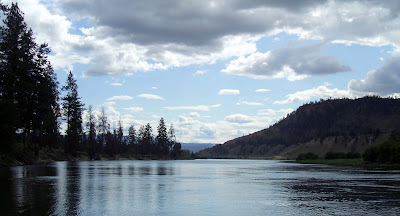 area this summer, try to visit our local parks on the South Thompson River. 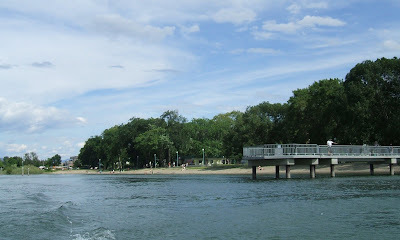 Riverside Park and Pioneer Park both have facilities to make a summer day at the beach great fun and are very close to the downtown area. 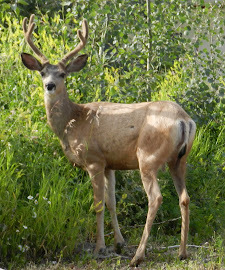 Nearby RV parks are Kamloops Rv Park next to the BC Wildlife Park, east of town and the Knutsford RV Campground, south of Kamloops, B.C., Canada. If you have access to a boat, there is even more to enjoy in Kamloops. There is a boat launch at Pioneer Park, which gives you access to the Thompson rivers. One sunny summer day we joined our son and his family to boat up the South Thompson river. We launched the boat at a private launch in Monte Creek, 15 minutes east of Kamloops, B.C., then headed east. The river has very little boat traffic from this point and is a beautiful trip. We stopped to watch a bald headed eagle peering down at us from his roost on a barren branch then carried on cruising up the river on a Sunday afternoon!! We eventually stopped at a beach on Banana Island, the only island between Kamloops and the Shuswap lakes. This very little island rarely has any visitors and those that do come, like to enjoy the private beach. It island is a government park but there are not any camping facilities and access is by boat only. Signs of wildlife can be found at times. The island also marks a great fishing location accessible right beside Highway 1, where many fisherman can be seen trying to catch that big Chinook salmon in the fall. We were joined by our daughter-in-law’s family in their boat and we all had a picnic and played in the sand for the afternoon. We watched the rain clouds circle around us but we seemed to be in a private little paradise and didn’t have one raindrop find us. The wind would come up at times but it chased the rain in another direction and we were thankful for that. I did get this picture during a very quiet time that shows the calmness that the river can appear to have. By the time we were ready to boat home, the wind had returned and made for a bumpy ride. It was a fun ride due to the plenty of giggles from our grandson, hiding under the blanket to keep dry from the spray when we hit the waves. But we were thankful to get home safely, the end of a wonderful family day. looking good! Love the pics!